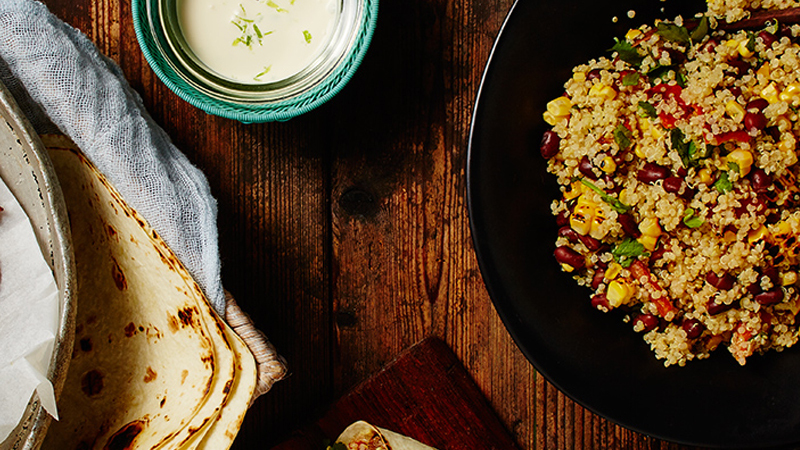 Savoury Old El Paso™ burritos are only an hour away… Follow this recipe for 8 delicious serves of steak, black beans, and quinoa. And the best part? You don’t have to share. Mix the burrito spice mix with the marinade ingredients together in a bowl and coat steaks well. Allow steaks to marinate while you prepare the salad. Using a gas flame or BBQ, char whole red capsicum until blackened. Allow to cool and remove charred skin, then chop finely. Char sweetcorn until kernels blacken and remove kernels from cob. Cook quinoa to pack directions. Combine all salad ingredients. Heat a large frying pan over medium high heat, add steaks and cook for 3 – 4 minutes each side for medium or until cooked to your liking. Rest, then slice across the grain. Stir sour cream and lime zest and juice together. For pan toasted Tortillas: heat a non-stick frying pan over a medium heat and brown each Tortilla for 10 seconds on one side only. Wrap in a tea towel until ready to serve. 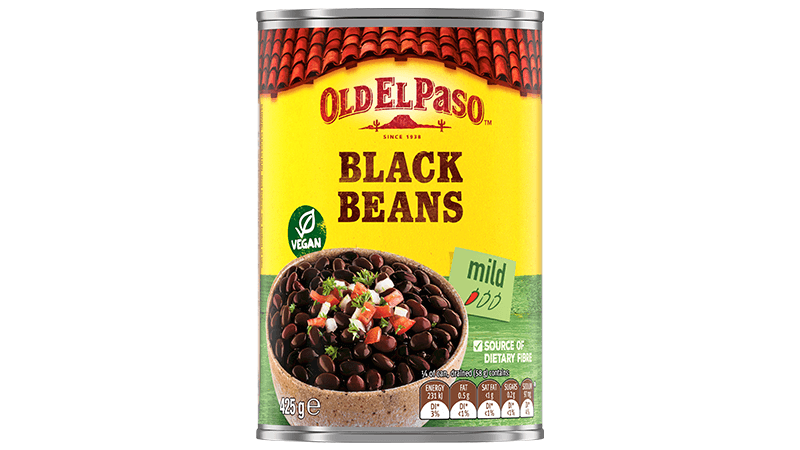 Build your own burrito with seasoned steak, quinoa and black bean salad and garnish with zesty cream and Mild Mexican salsa.